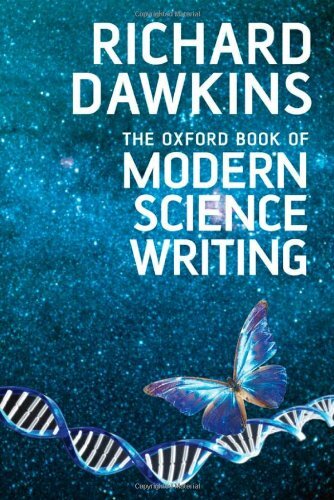 Selected and introduced by Richard Dawkins, The Oxford Book of Modern Science Writing is a rich and vibrant anthology celebrating the finest writing by scientists for a wider audience - revealing that the best scientists have displayed as much imagination and skill with the pen as they have in the laboratory. Selected and introduced by Richard Dawkins, The Oxford Book of Modern Science Writing is a celebration of the finest writing by scientists for a wider audience - revealing that many of the best scientists have displayed as much imagination and skill with the pen as they have in the laboratory. This is a rich and vibrant collection that captures the poetry and excitement of communicating scientific understanding and scientific effort from 1900 to the present day. Professor Dawkins has included writing from a diverse range of scientists, some of whom need no introduction, and some of whose works have become modern classics, while others may be less familiar - but all convey the passion of great scientists writing about their science.